Por Eso! was founded in 2007 and the most important achievement accomplished by 2018 is the fact that over 1200 families and children of school age now enjoy a healthy nutrition and will continue to do so. 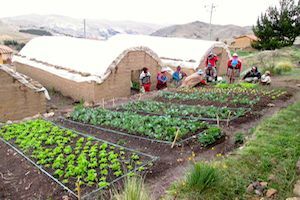 We start vegetable gardens for schools and families, and carry out home improvements in the family homes. 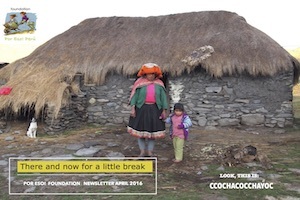 We are working in 13 communities high up in the Peruvian Andes. 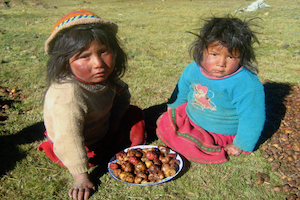 High up in the Peruvian Andes, over 30% of all children under 5 years old suffer from chronic malnutrition. The children don’t starve to death but they aren’t leading the lives they deserve to lead. Every day they stave off their hunger with potatoes: the only crop that resists the harsh weather conditions there..